When has Mills ever said his products were ready for the marketplace? He may have forecast they would be market ready in the near future, but that is just that: a forecast. Up to now, unfortunately Murphy's law has bested him. And it has done that for many great inventors until breakthrough. They are using a very stable oxide. It will very transiently get reduced by hydrogen and form unbound H2O, which catalyses a hydrino reaction and then reverts back to the original oxide. In previous experiments Mills has compared results using various oxides. Note this is the opposite of oxidation; it is reduction of the oxide that is necessary to form water temporarily, which then catalyses the hydrino reaction. RBF take note. All of which have been published in relevant, peer-reviewed journals, and all of which have subsequently been independently verified. Oh look, is that a pig, with wings? Actually people who don't know what they are doing designing stuff that just doesn't work or is extremely inefficient isn't "a novel departure from the typical implementation". It is very typical, particularity for Mill's whose been typically doing such crappy "implementation" for decades now. If Mill's actually want's "a novel departure from" his "typical implementation" then he should just go with designs proven to work and to be efficient. Ms Heather Peterson BSCh from Rohan sounds like a woman to me. All the validators, professors, lab techs, BLP staff and university students who have personally worked the experiments have their own lives to live and full well know Dr Mills is the guy who will deliver the goods when the time comes. Shouldn't be hard to grasp. What is different with the hydrino reaction is that it will vaporize and ionize, such is its power. What else does this so readily? This changes the game with MHD. Yes we know they use water, water that was added to the silver which it didn't have before. Yes we know (a) redox reaction(s) is(are) part of the asserted chemistry. We have been over this before and again as the stated chemistry depends on oxidation then oxidation of other materials is something you can't simply discount and your assertion that "In fact oxidation has proven a hindrance to the hydrino formation environment." is ridiculous as you just asserted oxidation to be a central part of the sustained reaction. Do please try to keep your crap straight. In catalyzing "the hydrino reaction" the water gets, well, oxidized (loses electrons). Just look at page 39 of the very PDF you linked. Seriously you have to make at least a minimal effort to keep your bullcrap straight. Oxidation is a central part of the asserted catalyzed “hydrino reaction”. Do please take note yourself, heck take a lot more notes, please. Seriously did you think just focusing on the purported reduction reaction to supposedly make the water (that was added as water to the silver) changes the oxidation reactions just the catalyzed “hydrino reaction” depends on and the further oxidation reaction to get your purported “original oxide” back. Please take some notes as evidently you just don’t know how many oxidation reactions this purported chemistry that "In fact oxidation has proven a hindrance to the hydrino formation environment." requires. Last edited by The Man; 28th May 2018 at 07:47 AM. Reason: added "back"
No worries mate. Markie does that all the time. If I made a point about no water he would backtrack and say there is water. When claiming there is water he backtracks and claims there isn't. But no matter how you try to pin him down on this issue Markie will obfuscate by changing his claims or by changing which variation of the welding machine he references. No, it doesn't a crappy magnetohydrodynamic generator is still a crappy magnetohydrodynamic generator. How the conductive fluid (or gas) is formed doesn't make the magnetohydrodynamic generator any less crappy for that or similar conductive fluid (or gas). Strong electrical fields "vaporize and ionize" quite "readily". One of the defining characteristics of metals is that they lose electrons easily to from positive ions. So metals ionize quite "readily" as well. Oh and again here "vaporize and ionize, such is its power" making a plasma. Electrons and positive ions. Guess what, that's oxidation all over the place when "In fact oxidation has proven a hindrance to the hydrino formation environment.". You need some better nonsense. When has Mills ever said his products were ready for the marketplace? Sounds an awful lot like it was "ready for the marketplace" then. Prices and everything! Of course as we have been over this before with oxidation being both a requirement of the purported chemistry yet detrimental to such chemistry when the possibility of other oxidation reactions might be considered. I'm glad to hear that you think this is easy to grasp. I might even think it could be credible, if the time period were a year or perhaps three. However, for so many scientists (if they are indeed worthy of that description) to remain mum for so long, with not even independent verifications and validations being published in relevant peer-reviewed journals ... well, let's just say I've never met a scientist like that, let alone twenty. Methinks you have, um, little appreciation for a) how extraordinarily revolutionary hydrinos would be (if they actually exist), and b) how stupid (sorry, there isn't really a kinder word to use) it is to focus on a commercial power plant based on hydrinos as the path to "reveal to the world". Except that Nagumo had some actual airplanes to not do anything with. And even if they did respect Mills' rights to the commercial applications (despite his decades of failure to actually achieve anything of note on that end), or just thought his money-making schemes were an impractical application of a new phenomenon that would never actually work to produce excess energy (sort of like muon-induced fusion), why would they not at least use this stuff in their own academic research? Almost any aspect of hydrino research would be ripe for papers, even if you never planned to directly make money off them. Characterizing the properties of hydrinos (mass, radius, moment of inertia, reaction cross-sections). Comparisons of hydrido production rates in different production environments. Any of potentially millions or billions of hydrino chemical reactions, and the reaction products produced. Detailed spectral analysis of elemental hydrinos, and hydrino compounds. How about looking for heliuminos? If hydrogen has a hidden ground state, why not helium, or any other element? Find these new states, or explain why they don't happen, and that's a new paper, for virtually every element in the universe. In the publish-or-perish world of academic science, it's odd that virtually all of the people markie claims to have worked on hydrinos have done absolutely none of that. And his fanciful "reputation trap" doesn't apply, because these people have already linked their names to a belief in hydrinos and BLP. They just haven't gotten anything of value out of already taking that risk. I really doubt you have had any experience in getting work published. You make it sound as if 'relevant', meaning 'mainstream', peer reviewed journals are oh so willing to publish potential game changer papers. After 1989 Schwinger took a keen interest in the non-mainstream research of cold fusion. He wrote eight theory papers about it. He resigned from the American Physical Society after their refusal to publish his papers. He felt that cold fusion research was being suppressed and academic freedom violated. He wrote: "The pressure for conformity is enormous. I have experienced it in editors' rejection of submitted papers, based on venomous criticism of anonymous referees. The replacement of impartial reviewing by censorship will be the death of science." Until there is commercial success there is little chance that Mills' theory will go mainstream. Nevertheless he still has lots of papers published in lesser known journals, why, even ones that are peer reviewed! Only hydrogen can go below ground state. As I recall, the electron has to be unpaired, the atom has to be neutral, and there can't be electron orbitals below the outer electron's ground state. Only the neutral hydrogen atom meets those criteria. Also, a hydrino atom can drop to a lower hydrino state. "can't be electron orbitals below the outer electron's ground state", check? Ain't it the whole hydrino claim that there are "electron orbitals below the outer electron's ground state" of hydrogen? I really doubt you have had any experience in getting work published. I also note that it seems to be based on exactly zero empirical evidence. On the other hand, I know exactly how much experience I have had in getting work published. You make it sound as if 'relevant', meaning 'mainstream', peer reviewed journals are oh so willing to publish potential game changer papers. I note how it "sounds" to you. I also note that your comment appears to be based on exactly zero direct empirical evidence. On the other hand, I know of a great many potentially "game changing" papers which got published in relevant, peer-reviewed journals. This is, it seems, a strong theme in your defense of Mills' work. Let me simply say that if he's capable of such a revolution as hydrinos imply, he seems to have demonstrated extraordinary incompetence in his attempts to turn his ideas into commercial success (excluding the idea that it's all just a scam, in which he's been very successful, "commercially"). And almost as much incompetence in getting his ideas published. Goodness, for a tiny fraction of the $$ he's obtained from his investors, he could have hired a newly minted physics PhD, who had yet to land a post-grad job/grant/whatever, to knock the nonsense out of his "theory papers", probably with a mere week of effort. Ah, the "suppression of new science" conspiracy theory rears its ugly head again. True innovators had to persevere, that's for sure, but if they submitted good data and methods that could be replicated, they won out in a few decades. Examples are easy to find; the prion theory of disease, the bacterial cause of most stomach ulcers and plate tectonics. Note that these built on existing knowledge, they didn't change entire bodies of knowledge. Let's see now, it seems Mills has had better than three decades to fight that fight and all he does is pull out a sour grapes excuse for not doing so. And citing cold fusion research as an example of suppressed science? Give me a break. Last edited by ferd burfle; 28th May 2018 at 11:19 AM. Reason: changed to "cold fusion research"
Mill makes a lot of excuses for his long list of failures. I find your faith in him adorable, and very, very, pathetic. Only if you accept that Mills' ideas are complete, robust, etc. It seems very strange, to me, that none of these Rowan (etc) scientists didn't cotton on to this (many surely know just how, um, weak Mills' "theory papers" are), assuming that they truly think their experiments showed something consistent with a below ground state hydrogen atom. tl;dr: Horatius' post is spot-on, though perhaps limited in the scope of the fields of science which could be explored (avoiding any "commercial power plant" stuff). Roughly, every 2-3 years over the last thirty. Have you not been paying attention? He may have forecast they would be market ready in the near future, but that is just that: a forecast. No which forecast has ever transpired. Up to now, unfortunately Murphy's law has bested him. Then Mills is a wimp. And it has done that for many great inventors until breakthrough. Sure, The Wright brothers had a first flight despite the many nay sayers. The difference? They actually did it. Mills simply is all talk and no action. I understand that your investment in Mills goes far beyond the norm. But there comes a point where even you must acknowledge that Mills has produced nothing and the horse is truly dead. But no, you are so far beyond the sunk cost fallacy that you are in Pons and Fleishman territory. Or Hahneman territory. Or pick your crank poison. You are so far into the thicket of ignorance that you think it is a spaceship, let alone seeing the wood for the trees. You are quite welcome to indulge in such. Far be it for me or anyone else to dictate whatever you may do in privacy. That is your business and yours alone. But when you arrive on a public forum and spout obvious baloney, that becomes everyone's business. And you have no choice but to deal with the difficult questions, like it or not. Uh-oh. Looks like Mills took too long. Yep. 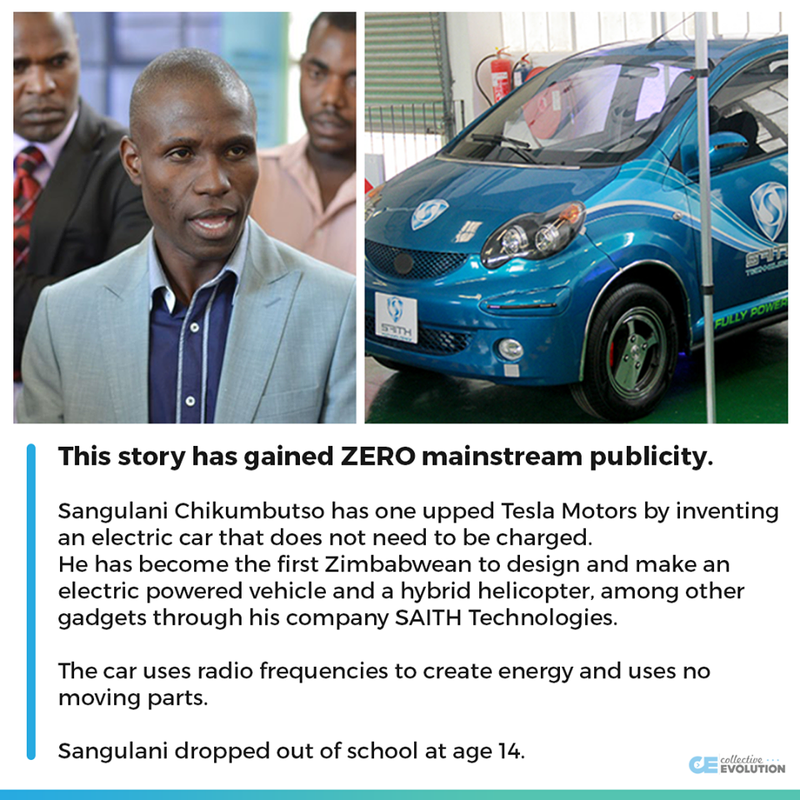 An African man has leapfrogged Mills and his tech claims. It looks like Mills is the Betamax of Free Energy. He was at it longer, but an upstart came along and ate his lunch. So sad. 30 years down the drain. Last edited by halleyscomet; 28th May 2018 at 12:25 PM. Even the uber-cranks debunked that one. Not to my satisfaction! I think this guy has just as much hard evidence to offer as Mills. Why, he even had the guts to NAME one of his major investors. All joking aside, listing to the audiobook about Theranos is reminding me a lot of this thread. Mills at least has the sense to not take orders for hardware that doesn’t work. He just pawns his marks off with excuses. 29 May 2018 markie: Advertises Mills delusions rather than addressing his probable lies. You are just emphasizing that you have drunk the Mills Kool-Aid rather than using your brain. Interpretation of EUV emissions observed by Mills et al. is that the EUV emissions are from known transitions. 29 May 2018 markie: If Mills delusions do not have EUV emissions then NMR results are at least dubious. That "paper" is the usual inanity from Mills and his employees. Just look at the references. There is the idiocy of citing his deluded book. There are BLP PDFs. A slide from a presentation. A couple of YouTube videos (wow there are videos of explosions!). Idiotic dark matter, solar flare and maybe other references. The body of the paper is basically the fallacy of false dichotomy. A crank or scammer and his employee cannot find explanations for results and so it must be caused by whatever they imagine it to be caused by. Ends with the actually insane delusion that dark matter is hydrinos and the usual lies. He lies that dark matter has spectral signatures which can be matched. He lies about the Bournaud et al. results which is that the dark component of the recycled dwarf galaxies is not dark matter. It is missing baryons. Published in "Plasma Science and Technology" by the Hefei Institutes of Physical Science, Chinese Academy of Sciences and IOP Publishing. The usual question: Why is this "ground breaking" science by an American author not being published in a high impact, American journal? Last edited by Reality Check; 28th May 2018 at 03:51 PM. No. Unfortunately for you, that's not why he went with the dome. Or at least, that's not the excuse he gave. Primary hydrino transition wavelengths are too short for direct conversion. Nothing was ever said about the obvious getting problem. Unless you can find a quote, of course. Hints, eh? Can you provide links to these mysterious hints? I hope Markie isn't one of his investors. It would add a layer of pathos and sadness to his dogged defense of a slime ball if he were defending a man who had taken advantage of him. One thing I find interesting, yet also sad, about the "innovation" markie has been strong on promoting, is just how pedestrian it is. To a complete outsider - which I think is how markie would characterize himself - a "one-off" exposure to "the Mills package" (i.e. "theory", purported experimental results, apparent independent confirmation, plans for a commercial power plant, etc) must be very convincing. Yet when you take a deeper and longer look, it's all so, um, squalid; hit the "lone genius/inventor" tropes, bury past promises and explanations, recycle parts of the package every two years or so, never (apparently) do any real science, shy away from the truly revolutionary implications, give really lame excuses for what is otherwise gross (engineering, applied physics, chemistry, etc) incompetence, etc. Markie isn't talking about anything "novel" or a "departure from the typical implementation" of the MHD generator portion (if we exclude just the obvious crap design of that portion). Just simply the purportedly hydrino based generation of the plasma used to feed the MHD generator portion. So not even "hints", just the typical Mill's hydrinio nonsense. Take the case of Julian Schwinger, Nobel prize winner. You make it sound like his Nobel prize was directly relevant to this quote - as if people wouldn't publish his work and then he was later vindicated by winning the Nobel prize. Just to be clear for anyone who is skimming this thread, that's not what happened. Markie, you seem to think that Schwinger was on to something. Presumably you don't think that anything written by a Nobel prize winner should automatically be published though, right? If I win a Nobel prize and then later in life decide that the moon is made from cheese should that paper be published? If they refuse, can I claim that Moon Cheese Research is being suppressed? The experimental evidence all points to hydrogen as having lower energy states, and no other element. So for instance, burning metals as RBF is fond of, without atomic H present, won't present excess energy anomalies. Why wouldn't a burning metal, "without atomic H present", "present excess energy"? The obvious 'getting' problem is just that: obvious. Perhaps Mills did investigate ways to keep PVs from accumulating deposits, but I don't recall he shared about that on his forum. In short, there would have a multitude of reasons Mills went with a dome enclosure : to protect the PVs, to maintain high pressure of the vapour and yes possibly to perhaps protect against higher energy rays. Probably other reasons as well. SunCell® engineering is progressing well. Full-scale detailed advanced SunCell®-MHD model completed. Individual components have been successfully developed and tested. Novel MHD thermodynamic cycle invented, equations solved, operation modeled. Results project high efficiency and power density. No challenges to commercial operability have been discovered. I think it's a given the Schwinger didn't get his Nobel prize for cold fusion, hello! I don't know if Schwinger was onto something with his work on cold fusion. Maybe it didn't get published, anywhere. I don't know. Given his genius and history it is likely his work was very good imo. Yet it wasn't published, because anonymous referees screamed foul. How's that for transparency in science. Clearly you haven't read Mills' experiments in depth. They control for such things as the presence of hydrogen of course. Of course, I mean excess energy beyond what would be expected by oxidation or other conventional chemical means.